“The purpose of the Olympia Weavers’ Guild shall be to provide a forum where active weavers may share information, knowledge and techniques, and provide each other with guidance, encouragement, and inspiration.“ This statement from the By-Laws of the guild and seeing the idea in one of the magazines we receive in the library launched the idea of the Tip Jar. Thanks for sharing your favorite tips you learned this year during Showcase, the programs, study groups and breaks. In addition there were many ideas that came in to improve the guild during the business meeting which, this summer, will be captured and organized with the rest of the ideas to improve the guild that came the past two months. The blog Joy of Weaving has “The Best Tension Device”, http://joyofweaving.com/articles/best-tension-device-ever to provide extra tension for a plain beam using 1” dowels and some hair ties. Harrisville version: http://harrisville.com/weave/weaving-accessories/tensioning-device-floor-loom/ They describe it as especially good for those who warp alone. It can be done on Huck, Twills, Overshot, Plain, Monk’s Belt, Rep and Indian Saddle Blanket Weave. Whatcom Weavers Guild is pleased to announce the return of Fibers and Beyond, as a brand new and exciting event. Fibers and Beyond will bring back the Guild annual sale and also feature a keynote address and workshops. All events will be at the Jansen Art Center, 321 Front St., Lynden, a lovely and inviting venue for the arts. The dates are Wednesday October 12 to Saturday October 15th. Jansen’s website, at the Jansen gift shop, at the Wool Show, at Guild meetings, and at the door. Registrations for the workshops will open on June 15. All registration will be through the Jansen Art Center. To access the registration, go to www.jansenartcenter.org/fibersandbeyond/. The Fibers and Beyond Sale will open at 4pm on Friday October 14, to 8pm and run through Saturday October 15, from 10am to 5pm. 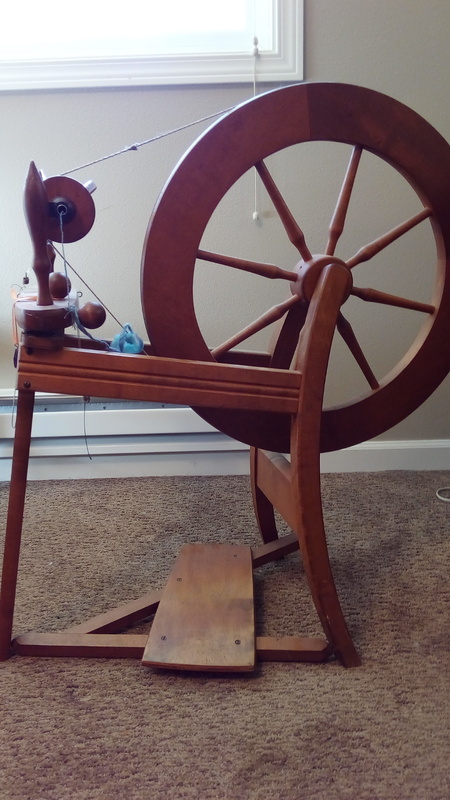 Various weaving and weaving-related demonstrations will be offered during the Sale. We invite all weaving Guilds and weaving lovers to join us for all or part of our 2016 Fibers and Beyond Conference and Sale. ~ Jannie Taylor will demonstrate how to take your weaving to the next level with on screen demonstrations of some of the many time saving and helpful features, available to all weavers, using weaving software. Leave the graph paper and pencils behind and you might find that you actually ENJOY creating and weaving your own drafts. This month’s tips are from the guilds study groups. Enjoy their sharing. **Don’t struggle along, ask someone for help! **Keep clear notes and if possible take pictures of your projects in various stages from warping to finishing. When weaving a new pattern or using a new yarn, my notes have been quite helpful (especially when I can locate them). **When working out a new idea make a small sample. But for the tip below you will want the whole batch. Preheat oven to 325 degrees. Coat mini muffin tin with cooking oil. Beat the ingredients in a bowl with electric mixer until smooth. Bake 12 minutes or until a toothpick inserted comes out clean. Cool tray on wire rack 2 minutes and turn the muffin pan over onto the rack. When muffins are cooled completely make glaze. Place wire rack over waxed paper. Beat the glaze ingredients until smooth. Dip each muffin in the glaze. Place lemon drops back on wire rack to set. Make sure you try to eat some be for serving or you may not get to try one. Study groups are great place to learn and share and we give big thanks to those who host.